Relieves Bronchial Congestion and Wheezing. Fever, chills, sneezing, stuffed-up nose, runny nose, coughing, sore throat, headache, minor aches and pains that may accompany colds or flu..
Aconitum Napellus (Monkshood) 4X (10%), Hepar Sulphuris Calcareum (12X), Spongia Tosta 3X, Stannum Metallicum (12X). Adults and children 12 years of age and older: 2 tablets every two hours until relieved. For your protection, this bottle has a cap with a perforated ring attached. Do not use if the ring is broken or missing. 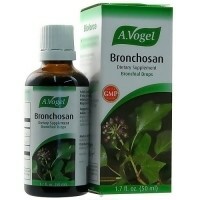 For bronchitis: Discontinue use of this product and consult a doctor promptly if: symptoms do not improve within 7 das (for adults) or 5 days (for children), tend to recur, if new symptoms appear, or if symptoms are accompanied by rash, persistent headache, or persistent or chronic cough such as may occur with smoking or emphysema or if cough is accompanied by excessive phlegm (mucus). For asthma: do not use this product unless a diagnosis of asthma has been made by a doctor. Unless directed by a doctor, do not use this product if you have ever been hospitalized for asthma or are taking any prescription drug for asthma. 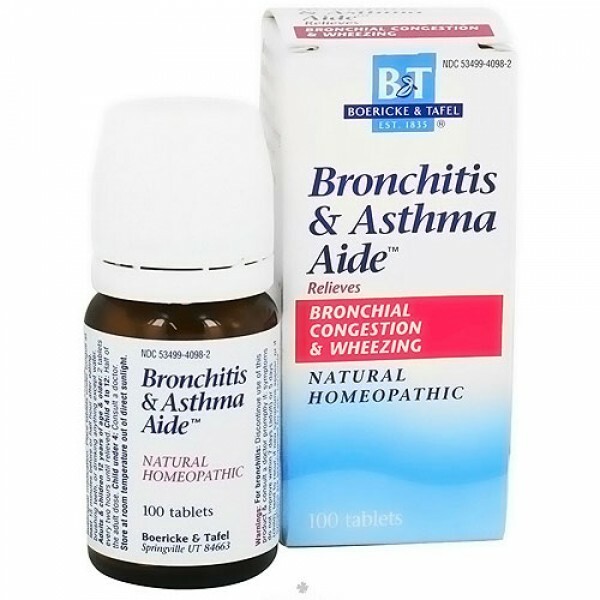 If asthma symptoms do not improve within 1 hour after taking this product, consult a doctor.As with any drug, if you are pregnant or nursing a baby, seek the advice of a health professional before using this product.